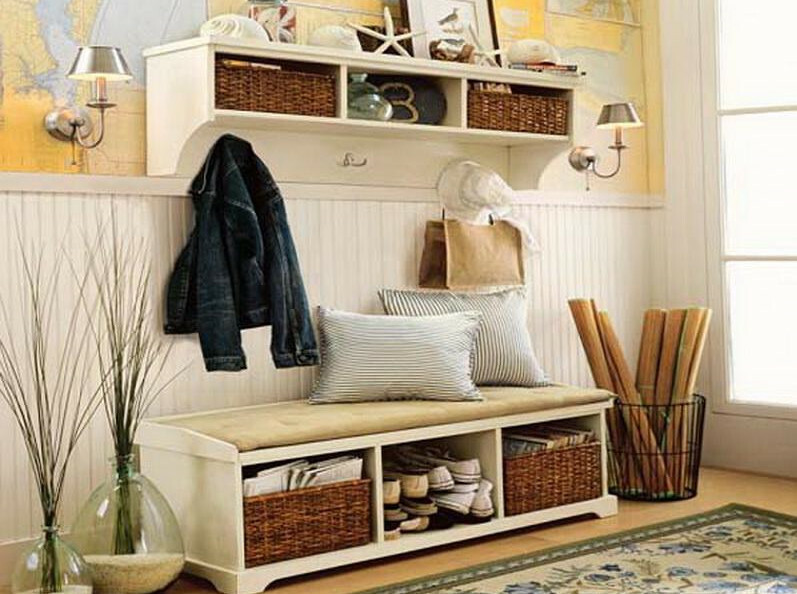 Take a look at this mudroom’s cubbies. First you have a cushioned bench with two white pillows on top. It has three cubbies underneath hosting two wicker baskets on ends and a middle one for shoes. Right above the bench you have three matching cubbies, although longer and narrower. A lot of small possessions can be kept in cubbies.